I'm no slouch when it comes to climate change: I've fitted my light bulbs and turned off my applicances. I've even invested in an energy efficient kettle. Impressive, eh? Well no, not really. You see I've reached what you might call an ethical plateau. I've done enough to feel like I've done enough. I read incessantly about the complexities of climate change, but rarely move to actual action. When I read about the projected increase in electricity bills, a perverse joy birthed in me. Here was a challenge: an opportunity to prove my green credentials. 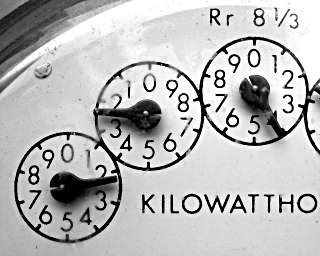 It's simple: rather than pay higher electricity bills I'm going to reduce my energy consumption. My stretched finances will jump-start my ethical ambitions. I'll be recording my progress right here. So stay tuned for adventures in insulation.